1Discount 2Not available with special finance or lease offers. Take delivery by 04-30-2019. 3Must qualify through GM Financial. Not available with special finance, lease, or some other offers. Take delivery by 04-30-2019. See dealer for details. 4General Motors Lease Loyalty for purchase only. This offer is for eligible customers who currently lease a Buick, Cadillac, Chevrolet, or GMC passenger car or light duty truck through Ally, GM Financial, or US Bank in their household and PURCHASE a new and unused eligible model. Call Dealer for Documentation requirements and to see if you are eligible. OFFER NOT COMPATIBLE WITH OTHER PRIVATE OFFERS. 5Private Offer good towards the Purchase or Lease of a new and unused Chevrolet to customers who currently lease a 2014 or newer NON GM passenger car or truck. See Dealer for documentation requirements. This offer can be transferred to individuals residing in the same household. PRIVATE OFFERS NOT COMPATIBLE WITH OTHER PRIVATE OFFERS. If you are looking for a truck which has a massive torque and can haul big loads with ease, you can’t go wrong with the new Chevrolet Silverado 3500HD. Stonebriar Chevrolet in Frisco has a massive inventory of this mean machine. This heavy-duty truck has won the “Most Dependable Large Heavy-Duty Pickup” award two years in a row. The exterior of this truck looks sturdy and masculine, and its interior is premium and comfortable. The cabin space is upscale and is a huge competition for the other trucks in this segment. Leather seats, Bose audio system, and Chevrolet Mylink are some of the features that this truck comes loaded with. 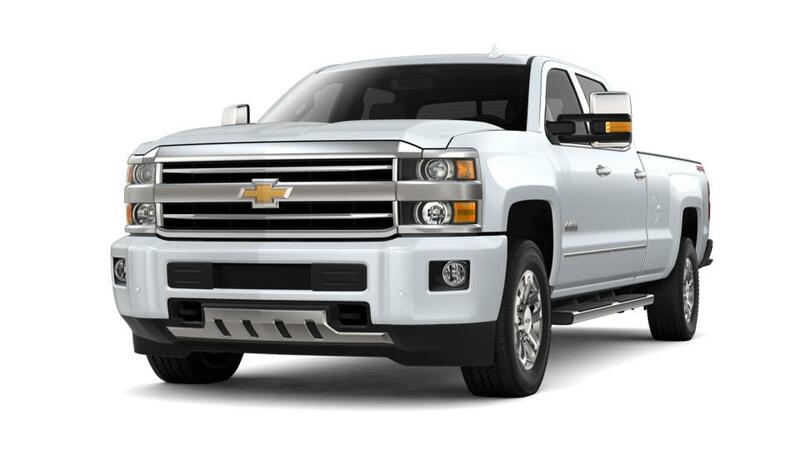 Test-drive the new Chevrolet Silverado 3500HD at Stonebriar Chevrolet in Frisco today!